The new Gateway MVS-DR is the modern, web-based and location-independent solution for controlling and monitoring of measurement data. By using the new data storage system, all industry-standard measurements such as temperature, pressure, level, level, differential pressure, etc., can be indicated along with the desired control functions. In combination with appropriate sensors, which are available at Müller Industrie-Elektronik for the measuring pick-up in almost any industrial application, the readings stored in the Gateway MVS-DR can be evaluated and controlled anytime and anywhere by means of a PC. The connection of the sensors to the MVS-DR can be carried out by radio with up to 16 channels. Additionally, two sensors can be connected directly. Furthermore, the number of sensors can be extended if necessary by using external equipment. The data receiving via radio transmission is also possible by default. The range for a reliable data transmission can also be extended via repeaters. The new MVS-DR is equipped with a Linux-based web server and an integrated radio receiver and has been designed for control cabinet installation in space-saving 45 mm wide DIN RAIL housing. It stores, logs and controls the measurement data by individually predetermined parameters centrally on the Web server. 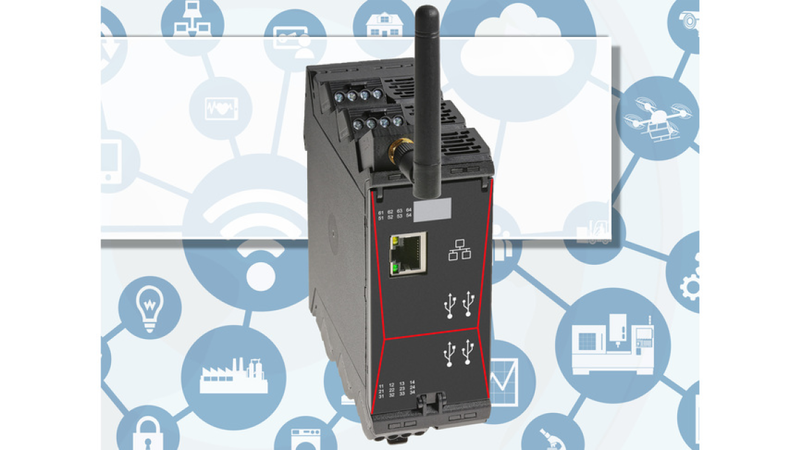 As web-based radio data logger system, the MVS-DR provides an intelligent interface between the recording of measured values in the application via the connected sensors and the transfer of the stored measurement data, for example, to an existing company network. The data transfer from the gateway can take place using WiFi as well as a cable-based connection. The integration into an existing network is possible without great effort. The MVS-DR can be quickly and easily configured and operated. With the new gateway MVS-DR, monitoring of various applications can therefore be carried out from anywhere by any PC.